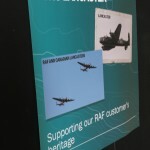 Following the visit of the Canadian Lancaster to Henstridge, I was asked by my Heritage contacts at BAE Systems if they could make use of an image of the two aircraft as part of an exhibition at the Warton factory site. 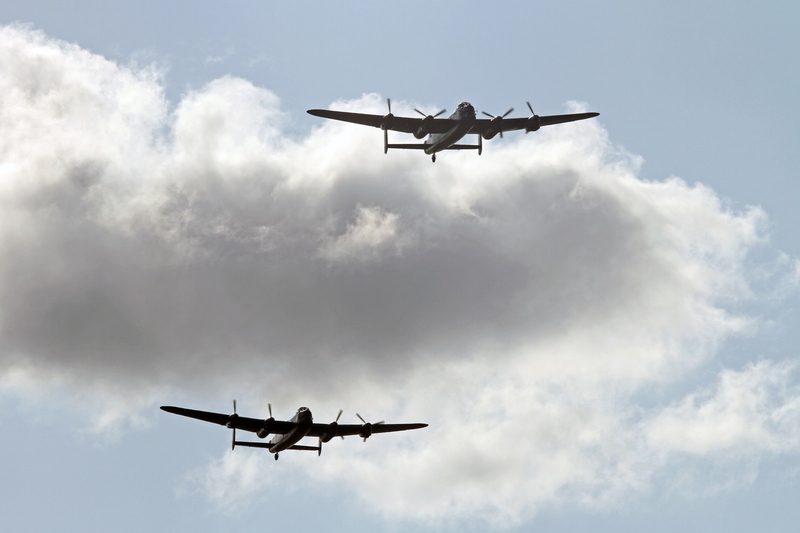 The image was to be used as a backdrop to the large scale model of the Lancaster in ‘Dam Buster’ configuration that forms part of the Heritage collection. This model has a span of around 10 feet and is very impressive and is fitted with a model ‘Upkeep’ bouncing bomb.. The photographs below show the resultant poster and the overall display, in situ at Warton. Photos: BAE Systems – open each one twice to see at full size. 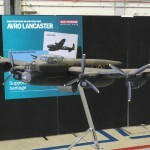 The ‘Dam Buster’ Lancaster model in the Heritage exhibit at BAE Systems Warton.